As needs of enterprises grow, leaders are seeking new and richer data. Data that reveals hidden phenomena, brings clarity to complex issues, and empowers decision-making. And they're collecting this data by deploying advanced sensors on drones. LiDAR, hyperspectral, thermal, and other sensors achieve unrivaled precision when deployed on drones. This accuracy is key to generating powerful maps and models which—when processed by machine intelligence—can identify plant disease, assess water quality, produce volume measurements, detect heat signatures, create surface composition surveys and more. In this post, we’ve aggregated the key facts about each sensor discussed in the book. Light Detection and Ranging (LiDAR) sensors use laser emitted light energy to scan the ground and measure the ranges of what bounces back. The end result is a rich set of elevation data that can be used to produce high-resolution maps and 3D models of natural and man-made objects. Drone-based LiDAR collection yields the highest fidelity data, compared to other aerial survey methods. The point cloud generated from drone-based LiDAR can yield 100–500 points per square meter at a vertical elevation accuracy of 2–3 centimeters. LiDAR sensors produce more exact results and can also accurately measure where vegetation occurs, how dense the vegetation is and the topography of the ground underneath. “With higher density, or a higher resolution, the detail of information you receive from the drone-based LiDAR sensor is more robust. A more dense point cloud gives research teams more flexibility to run the data through a range of algorithms and analyses.” says Director of Data & LiDAR Services Jamie Young. Information gathered by drone-based LiDar sensors can be used in a variety of industries including: energy, insurance, construction, agriculture and other industries with the need to accurately survey vegetation. "Hyperspectral sensors are like a scalpel that allows you to dissect exactly what is happening within very narrow bands of spectral content. Multispectral sensors are a broad sword that collects less intensive spectral data,” shared Jason San Souci, GISP. Drone-based hyperspectral sensors collect data as a series of narrow and contiguous wavelength bands providing a high level of performance in spectral and radiometric accuracy. This data is not identifiable by other sensors, including multispectral. Each pixel gets its own spectral profile containing location data, followed by hundreds of digital numbers that align with the corresponding spectral bands. 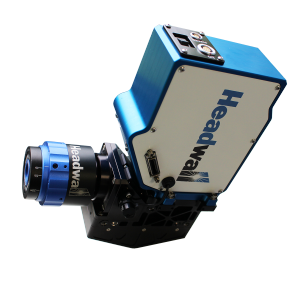 Hyperspectral sensors can also be used in tandem with multispectral sensors. Projects that involve hundreds of acres, are ideal opportunities for a sampling strategy that uses both forms of sensors to create a more accurate picture. Hyperspectral sensors can detect and identify minerals, vegetation and other materials that are not identifiable by other sensors and are used in plant nutrient status, plant disease identification, water quality assessment, foliar chemistry, mineral and surface chemical composition and spectral index research. This information is invaluable in identifying subtle differences in vegetation, minerals and other materials or capturing spectral information to identify minerals, vegetation and other materials. Multispectral sensors are used to capture near-infrared radiation (NIR) and ultraviolet light invisible to the human eye. “Multispectral sensors capture data on the reflection of light energy off objects in the environment. That data can be compared to other nearby objects to understand crucial difference between them,” shared Scott Hatcher, a Geospatial Scientist. While a standard visual sensor only collects red, green and blue wavelengths of light, multispectral sensors are able to collect wavelengths that fall outside the visible spectrum we well. These include near-infrared radiation (NIR), short-wave infrared radiation (SWIR) and others. Multispectral sensors are instrumental in plant health and management. They can pinpoint nutrient deficiencies, identify pest damage, optimize fertilization and assess water quality. Detailed insight can also be secured using algorithms from Vegetation Indices. This information can be useful for reviewing data related to environmental mitigation activities such as monitoring plant and tree health, performing more effective crop management with plot-level statistics on plant count, height, vigor, leaf area and canopy cover or reviewing the health of forestry and vegetation to determine which portion of land to clear for commercial projects. Multispectral sensors fall into two categories: modified and multiband. Modified sensors are created when a special filter is placed on a standard visual sensor. As a result, modified sensors collect several—typically 3-5—bands of light at once. Each band is collected by a dedicated sensor so there is no need for multiple flights. Multiband sensors also enable you to mix different band combinations to meet your needs. 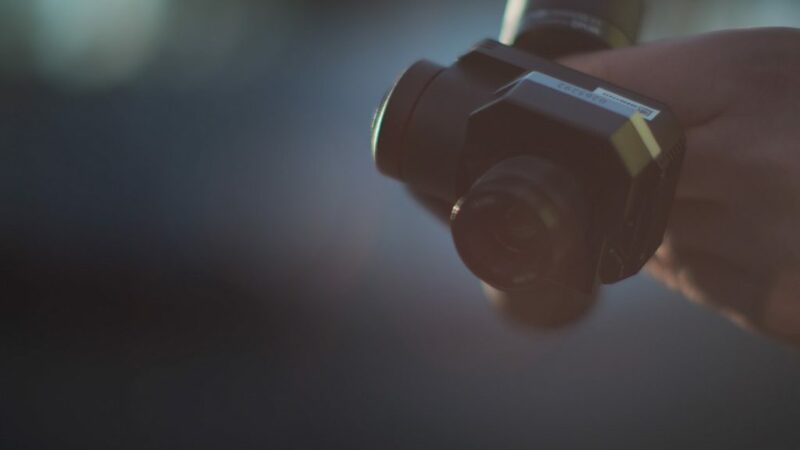 Thermal sensors measure the relative surface temperature of land and objects beyond the scope of human vision and create aerial thermal imaging for analysis and reporting. “Thermal images show differences in total radiant energy allowing for temperature calculations. To determine true temperature, you’ll need to use a calibrated radiometric sensor,” shared Scott Hatcher, a Geospatial Scientist. A specific type of resistor, called a microbolometer, is used as a detector in a thermal camera. When long wave infrared radiation emitted from objects strikes the microbolometer, it heats up. This changes its electrical resistance. The change is then converted to electrical signals and processed into an image. Collected thermal data is typically output in raster (image) formats, with a choice between radiometric JPEG files and TIFF files. The information gathered can be useful in a wide variety of industries including agriculture, construction, insurance, energy and government. This technology can be used to gain insight into heat stress, water use, and plant metabolism by measuring canopy temperature; Reduce inspection times for facades and roofs, identify electrical issues and pinpoint the source of water leaks and more. 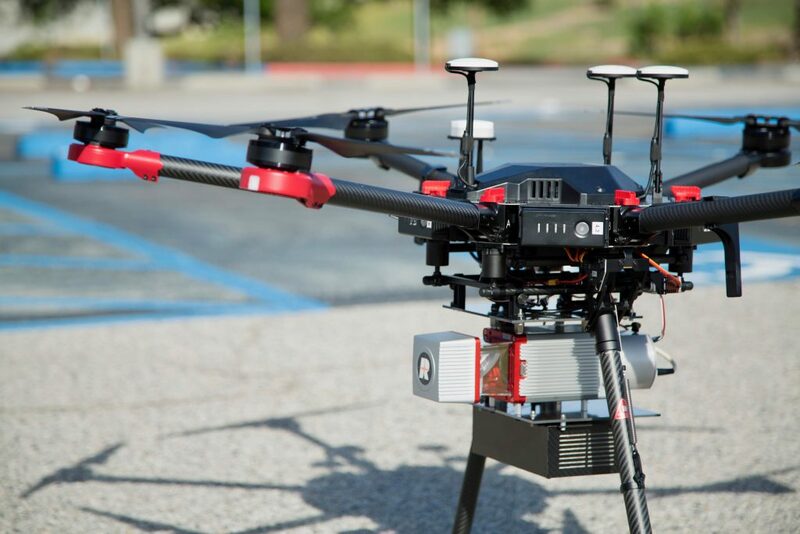 Organizations are overcoming a wide range of challenges by employing drone-based advanced sensing. Like those pioneering the practice today, you have the opportunity to change the way your organization collects and uses data to solve problems.